Visitors to the Bank of America Winter Village may have noticed that, for the first year in its history, Bryant Park has a Holiday Shop for a full season. The kiosk (F9, located on the 42nd Street side of the park) is jammed with Bryant Park merchandise, from classics like the Bryant Park Book to just-released products. We've doubled the number of products we sell, based on suggestions from the public. 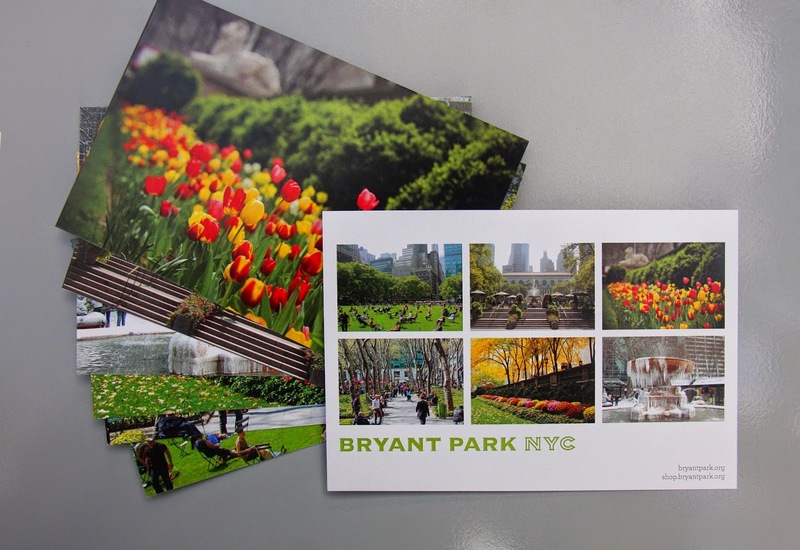 Now you can give everyone on your shopping list a gift from their favorite NYC park! Below are five of the new products that are offered at the Shop. Can't visit in person? Visit our online shop. The protection provided by a well-constructed umbrella makes all the difference on a rainy day. Our Bryant Park Umbrella features an illustration of the Josephine Shaw Lowell Fountain and dancing raindrops. 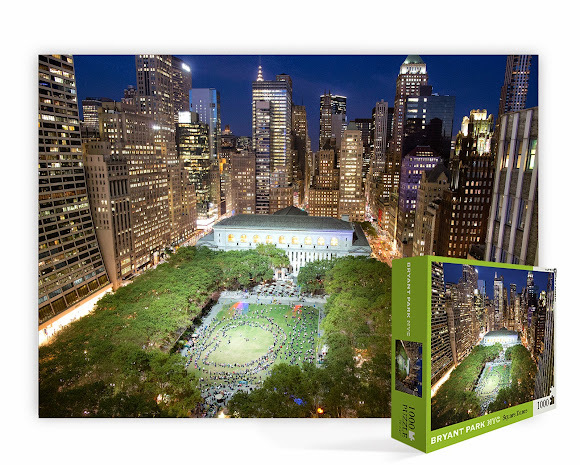 The Bryant Park Puzzle features an overhead photo of our annual Bryant Park Square Dance event, cut into 1000 pieces. A perfect gift for the puzzle- or Square Dance-lover on your list. Bryant Park Coasters are made from the same sturdy bluestone as the park's tree-lined allees. The image is a London Plane leaf, which you'll find sprinkled on our pathways in the fall. 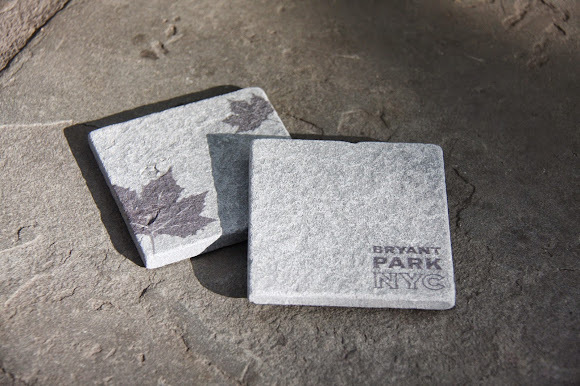 Accessorize your fridge with Bryant Park Magnets, featuring our chairs and lawn area in different seasons. Bryant Park Postcards are the perfect way to say, "Wish you were here!" Share the beauty of the park with this set of six gorgeous photos.